The first release of the RS200 in the standard SCALEXTRIC range was the yellow BT Telecom liveried car together with the white Ford Works No6 rally livery. Whilst I have not seen any evidence of the Telecom livery racing anywhere, we will all be aware of the the white and blue striped Works liveries which continued throughout the Group B rally era. Only these two Ford RS200 cars were released by the UK brand in the 1980s. Fans of the RS200 had to wait until the 2010s before a more complete range of RS200 (with new tooling) was released. 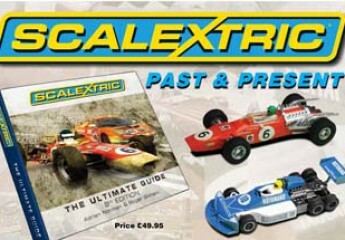 In Spain, the (Spanish EXIN-LINES BROS) SCALEXTRIC brand was being sold to TYCO and thus during this period the product range slowly transferred from SCALEXTRIC packaging to revised packaging under TYCO ownership. EXIN product is in the 4000 reference range whilst TYCO is in the 8000 product reference range. The Spanish brand went on to release many more different liveries. Only some of the early original Spanish SCALEXTRIC releases are shown here. All the 1980s model were made in Spain and had four wheel drive using a rubber drive band from the rear axle to the front axle. Two models were released in to the UK catalogue under license from the Spanish company. The UK releases were assembled in the UK after the parts were shipped from Spain to the UK. This is becasue the UK SCALEXTRIC range had adopted tampo-printed decoration of the car bodies whilst in Spain decal sheets, fitted at the factory, were still the norm. The two yellow and white bodied cars released in the UK were tampo-printed whilst the Spanish versions were plain bodoes with decals applied – which if course can be removed to create a ‘road livery’.